There are many wonderful cool-weather squash varieties from the most commonly known like butternut and acorn to lesser-known ones like kabocha. 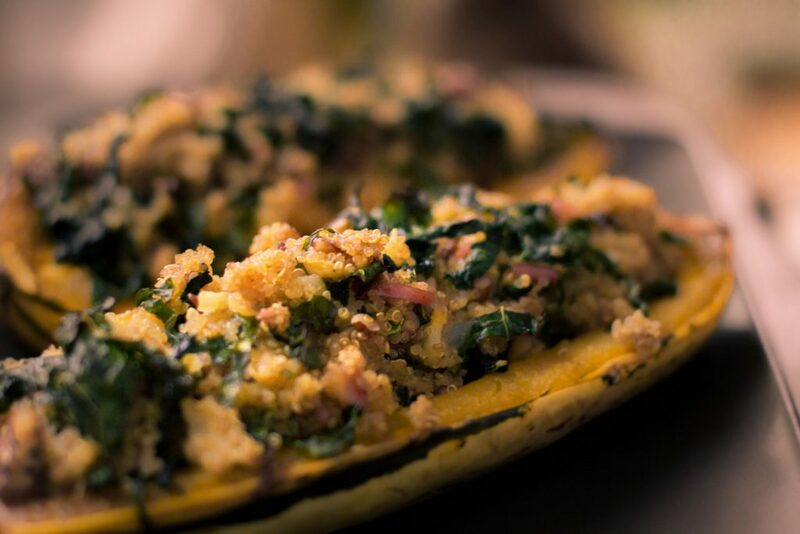 Among the lesser known, but incredibly delicious and versatile, is the delicata squash. 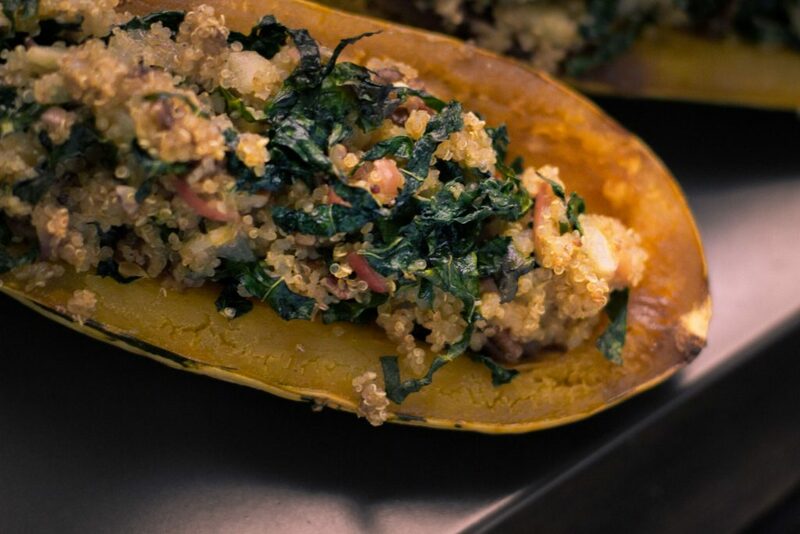 It’s often called the “sweet potato squash” for its mild, brown sugar flavor. It’s a good source of beta-carotene and vitamin C.
It’s compact size and thin, edible skin means it is the perfect vessel for stuffing. 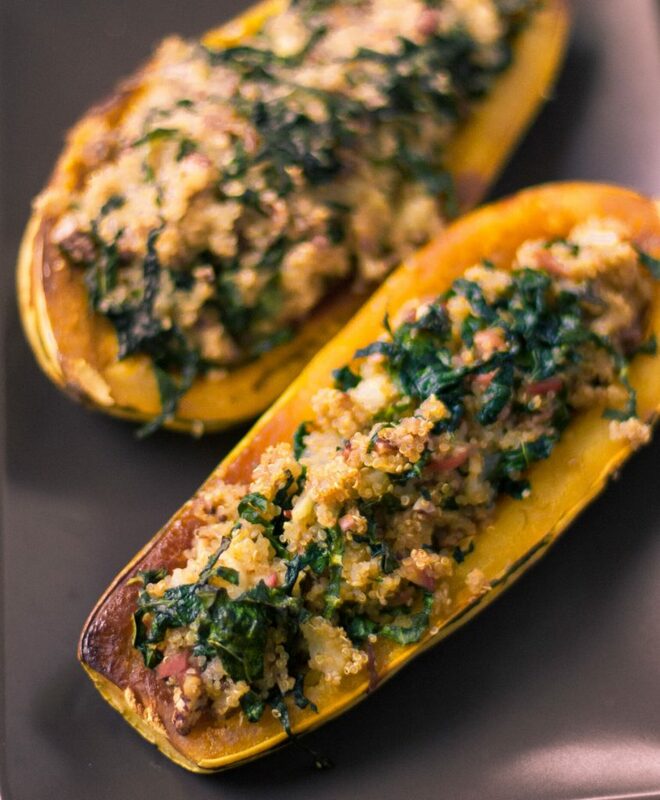 To balance the sweet, creamy texture of the squash, I try to add a little spiciness to the filling. 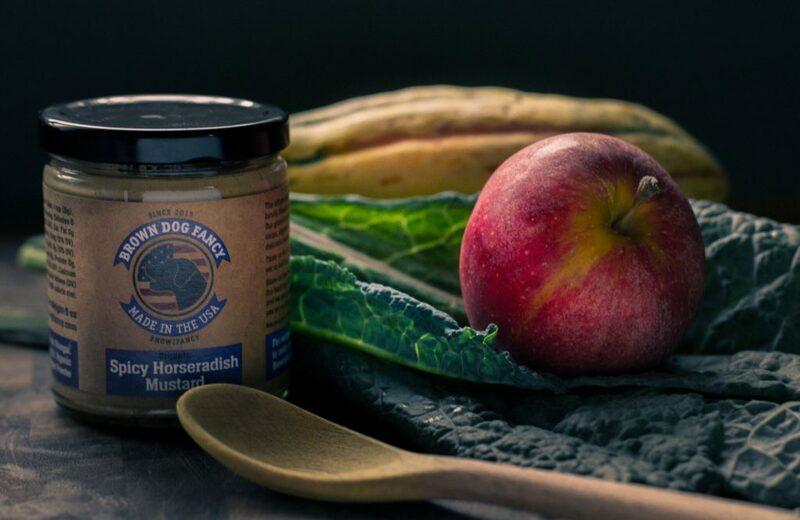 In this case, I used Connecticut-made spicy horseradish mustard, but any spicy mustard will do. 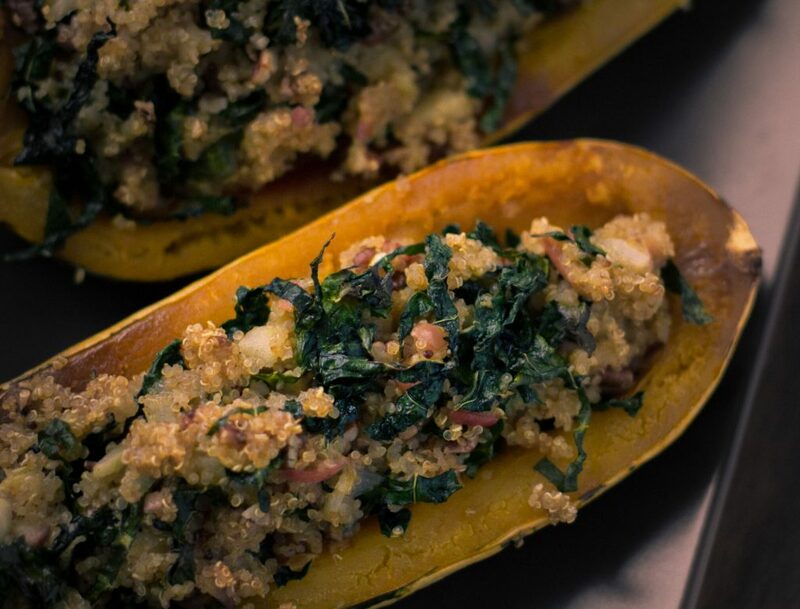 Packed with protein-rich quinoa, fresh apples and kale, this vegetarian recipe makes for a very hearty fall meal. While the squash roasts, pour the vegetable broth into a medium-sized sauce pan and bring to a boil on the stove over medium-high heat. In a large sauté pan, heat 1 tablespoon of coconut oil. Sauté the onion until translucent. Add the chopped apple and cook, occasionally stirring around the pan until soft.